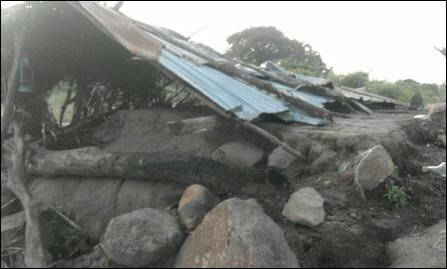 Five villages surrounding Kachchatkodi Swami-malai have been severely affected in 2015. 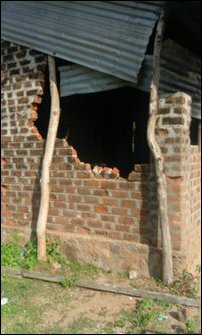 Last year alone, 7 people have lost their lives, two villagers have become psychologically ill, 24 houses/huts have been smashed and several useful crops and trees have been destroyed due to the attacks by wild elephants that roam in groups during the nights. Following the protests by the villagers, the Divisional Secretariat officials announced that the affected villagers would receive 20,000 rupees as compensation per family. But, even that token amount has not been distributed to the people as promised, the villagers complain. 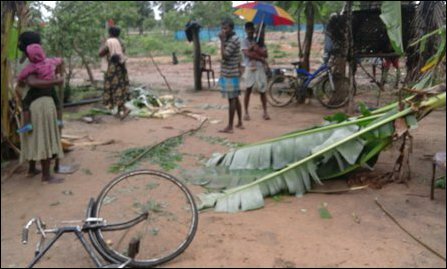 Thaanthaa-malai, Kachchatkodi-Swami-malai, 40th Veddai, Adaichcha-kal, Reddbarna village and Ka'ndiyanaa'ru are the villages that have been severely affected in recent months. The people complain that all the challenges they face are artificially created conditions to evict them permanently from their villages. 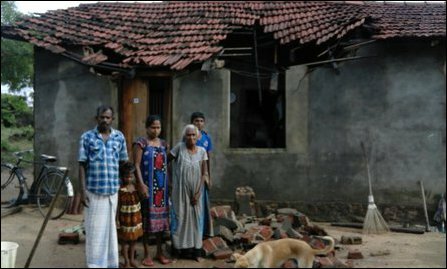 Sinhala colonisers and the Colombo State are behind the structural genocide against them, they say, also citing the hostile acts by Sinhala paramilitary known as ‘homeguards’ and the presence of extremist Buddhist monks in the area. 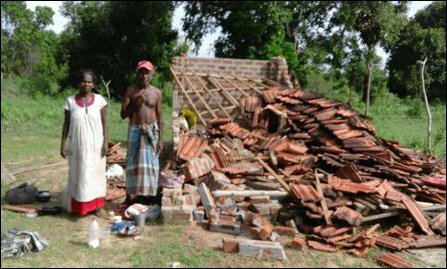 24.01.16 SL police refuses to register land grab complaint against Bu..
30.10.15 Wild elephant rampage on resettled villagers continues unaba..
07.10.15 Eezham Tamils in Batticaloa protest against continued suppre..
05.08.15 Deployment of SL Intelligence operatives triggers fear among..
23.01.14 13 Tamils killed by wild elephants deployed by Colombo in Ba..